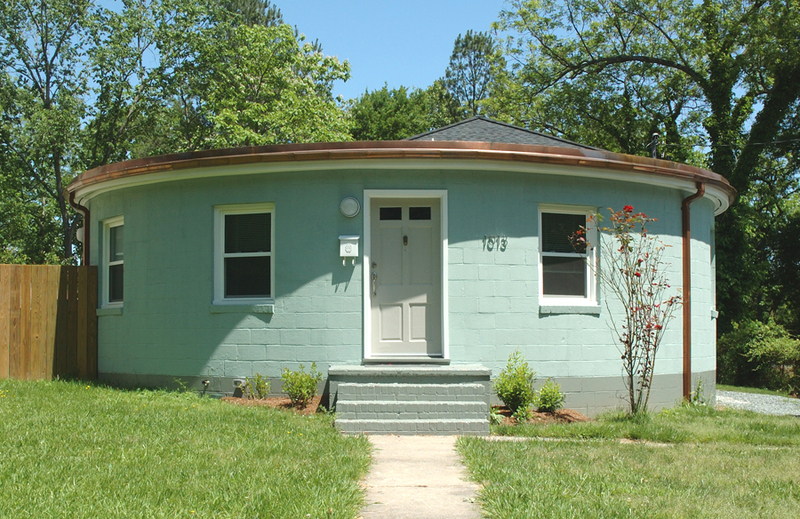 Eclectic housing - particularly eclectic yet modest housing - is, for the most part, a lost form in America, sacrificed at the altar of mass production in the 1950s. 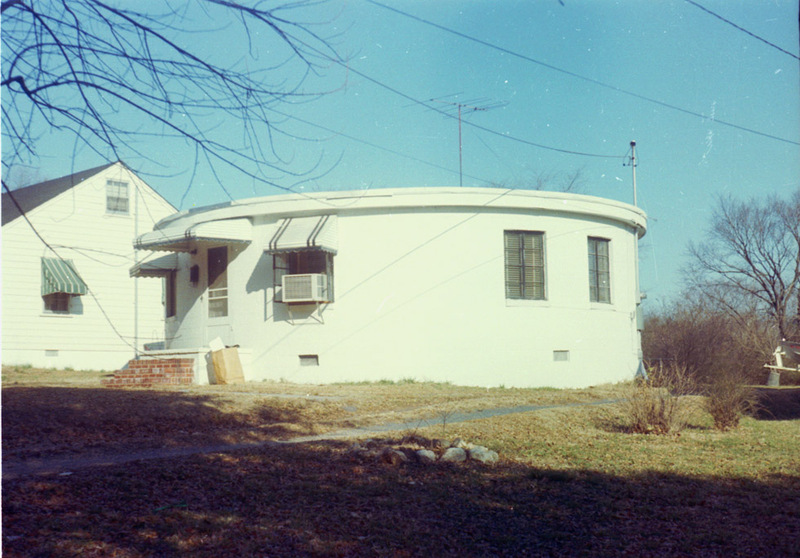 Right on the cusp of that change, Durham welcomed two of its more whimisical houses, the round houses on South Duke St. The houses were built, according to a nice writeup in the N&Os we'll-pay-attention-on-Saturday paper, the Durham News, by local architect Archie Royal Davis. He built the two houses out of cinderblock. 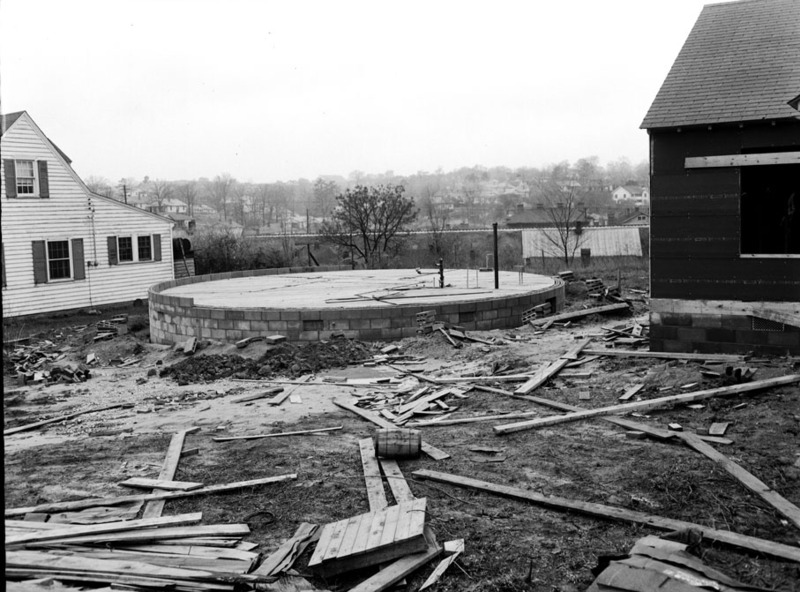 1013 S. Duke, under construction in April 1947. 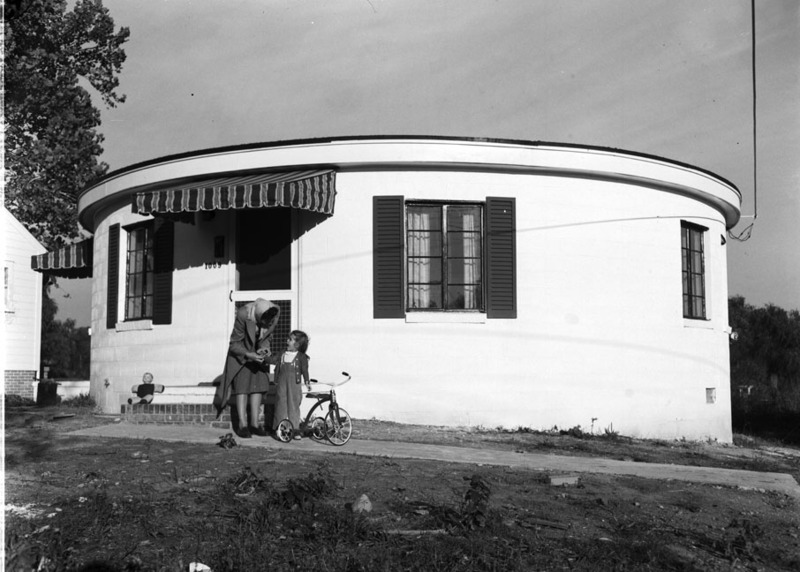 1009 S. Duke, late 1940s. The fact that these houses were built out of that most-lowly of materials, the cinderblock, says a lot. You don't need countertops made out of aggregated Eagle eggs or floors made from trees that were sung to every day by the logger in order to have an interesting house. The round houses are still, er, around, causing drivers on Duke St. to turn their heads to get a better view - perhaps even circle back. 1013 S. Duke - with Bruce Mitchell's new, non-round addition on the back, January 2008. 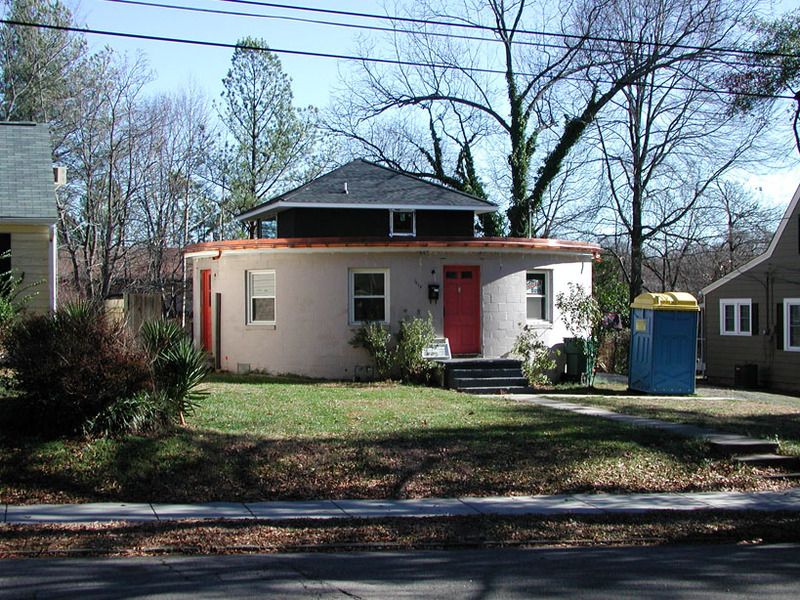 Update May 2008: Bruce was kind enough to send me pictures of his completed renovation + addition of 1013 S. Duke.